I got a request to replicate a garment for a baby that's a sort of bib with arm holes. And apron, if you will. Or a smock. I like the word smock. I asked her if she had some old clothes I could use to make these smocks. 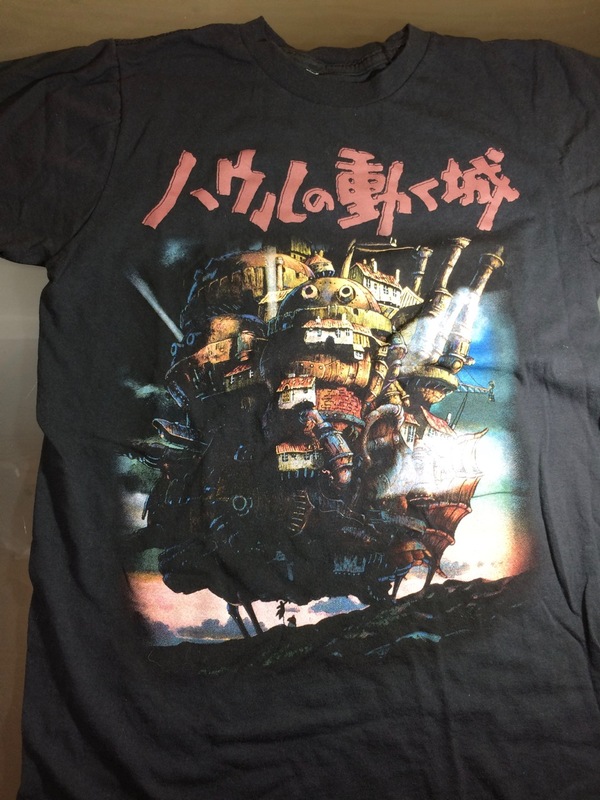 She went through her old t-shirts in storage and got some with sentimental value that she never wore anymore. 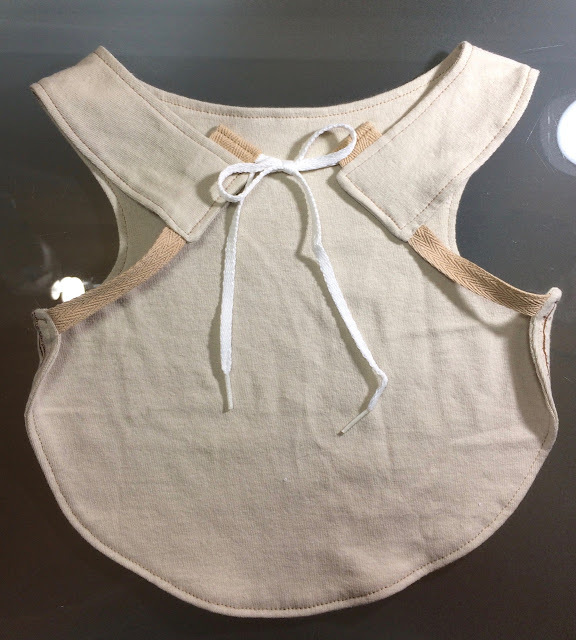 The sample bib my friend gave me had a knit front and some kind of light gauge toweling on the back. 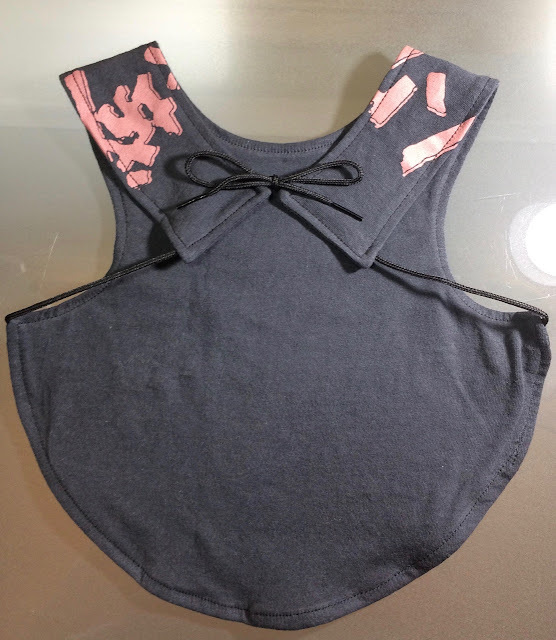 There's a 4" ribbon between the front and the part that fastens in the back. I had some cotton terry cloth so I tried that on one. Then I showed it to my aunt who is a retired kindergarten teacher and she is a spit expert. She said all t-shirt material would probably be fine. Might not need the terry cloth. So for the shirts that didn't really go with white terry cloth I just used the back of the shirt for the reverse of the bib. I eyeballed the original garment and drew a pattern. The original had velcro on it but I don't like velcro. I tried some plastic snaps on some of the ones I made her but I decided I sort of like this shoelace method the best. I will report back after these are tested on the baby. 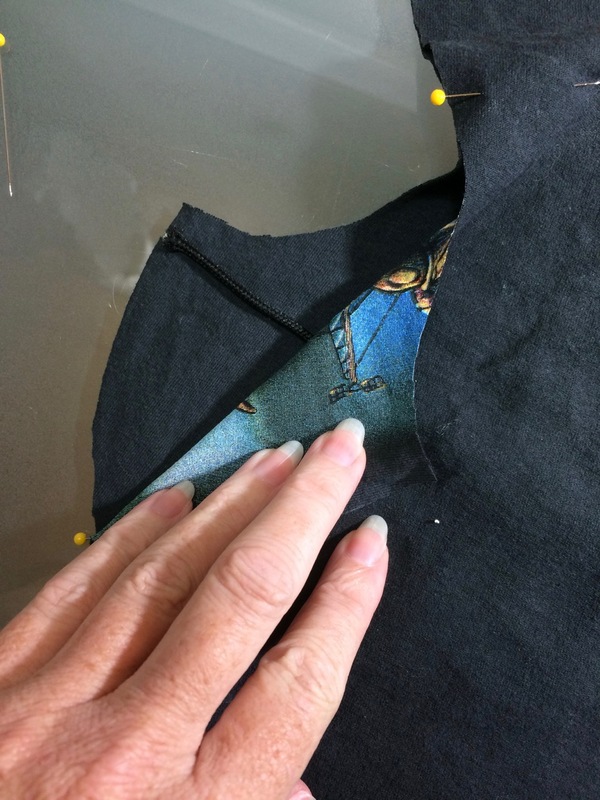 Cut a shoe lace in half and place the cut end at the turn in the armhole of the bib. Do both sides. 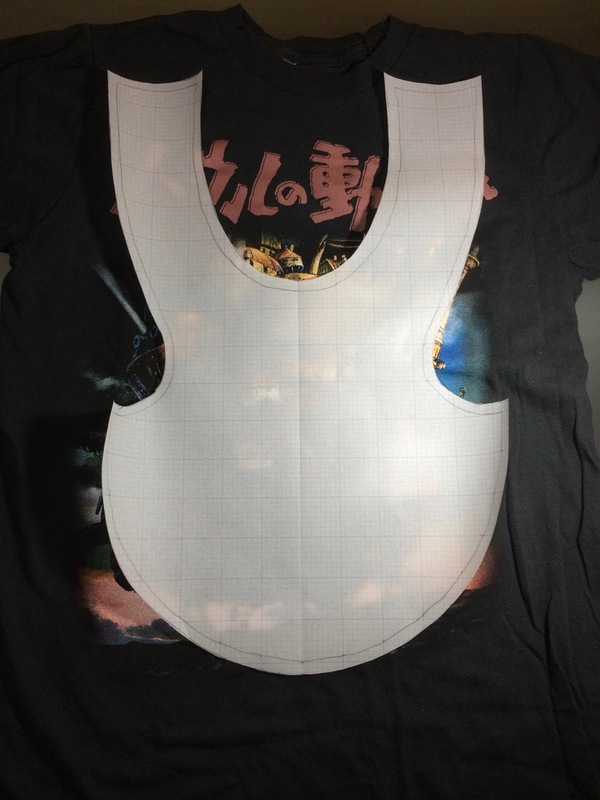 Cut out the pattern from both sides of the shirt. Flip the front and back so it's right sides together. Cut a shoelace in half and the halves between the fabric layers with the cut end at the cut edges. 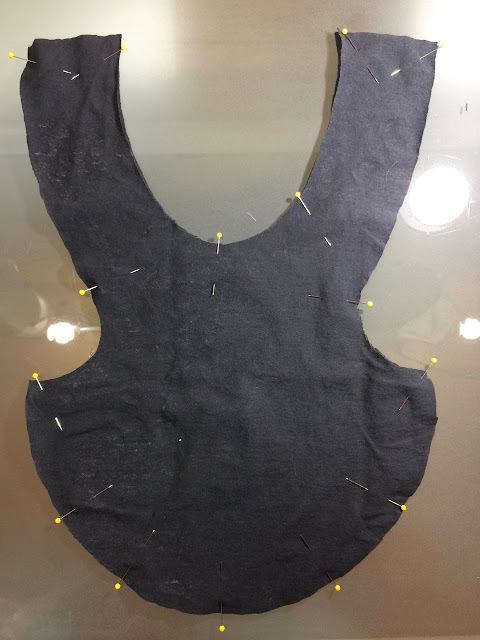 Sew around with a 1/4" seam allowance leaving a place to turn it and leaving a gap on both sides at the ends of the shoulders to thread the shoelace through. Pin the opening where you turned it. Top stitch around the whole thing under 1/4" from the edge. 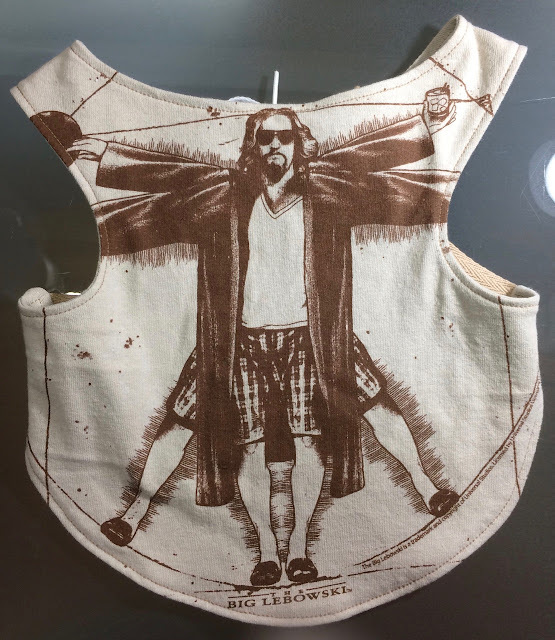 I did one from a Big Lebowski t-shirt too, but it was a size enormous and the neckhole was so big I couldn't get the shoulder straps to work out. I made a new pattern that I think it not going to fit well. But the design was limiting. Here's how it turned out. 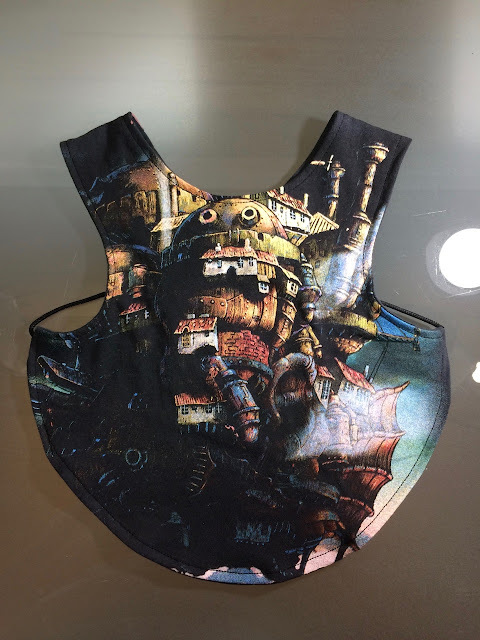 This is a good repurposing project without the terry cloth back because you don't need to buy any fabric. It's all just one t-shirt. You can buy this bib apron pattern online I'm pretty sure. A lot of them seem to use bias tape but that seems hard and expensive to me. This is easier. 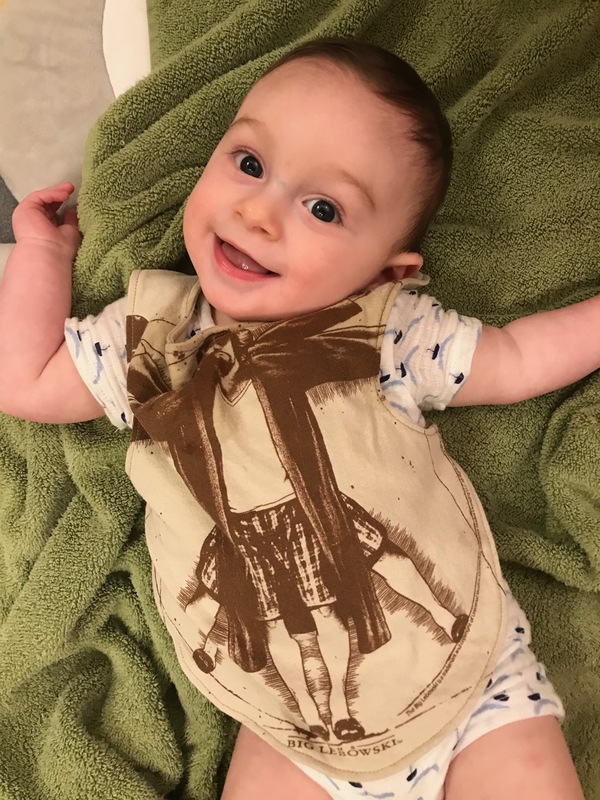 My client sent me a photo of her drooling youth who has soaked the top of Bib Lebowski with saliva. She reports the double layers of t-shirt do a pretty good job of keeping it off his outfit so she only has to change the smock throughout the day. I decided to digitize this pattern so I don't lose it. It fits on a ledger sized sheet of paper so you could print it if you had a big printer. I ended up making about 16 of these things. I used terry cloth for the backing for about half of them and then decided it was too hard to sew and switched to flannel for the backing. My favorite is half t-shirt, half flannel. This is thin enough I can close it with Kam Snaps. (Shoelaces are expensive.) I can get 4 smocks out of 1 man's XL t-shirt. Be sure to pre-wash the flannel.